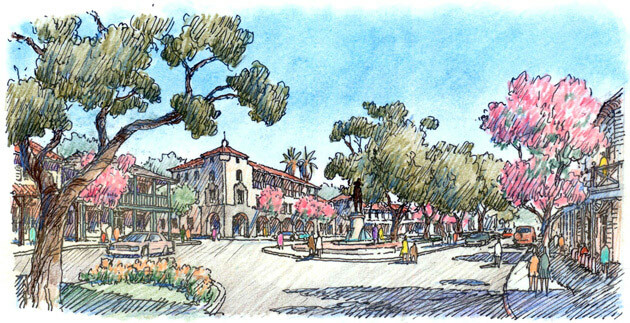 The 470-acre Olsen Ranch/Beechwood Specific Plan proposes a traditional neighborhood development in the City of Paso Robles, California. 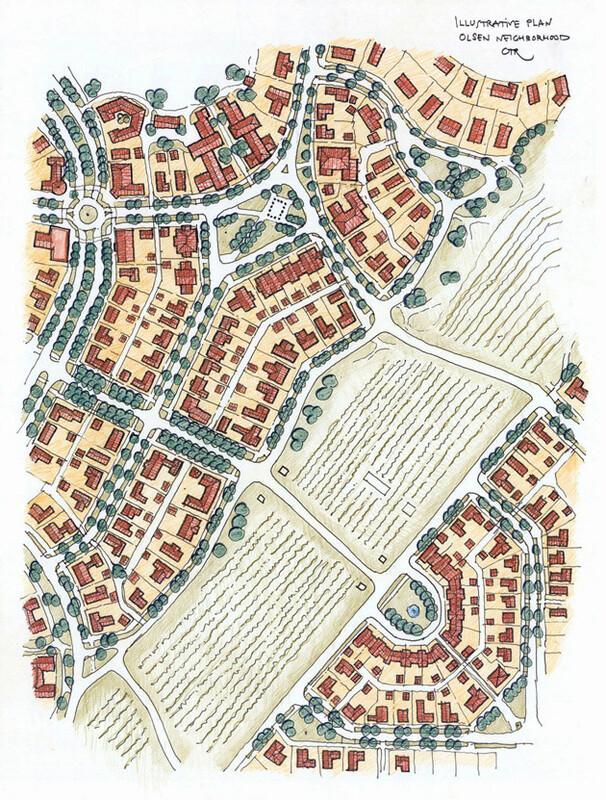 Based on the town planning principles of pedestrian-scaled blocks, tree-lined streets, varied open spaces and an assortment of building types, it creates two neighbor­hoods that celebrate Paso Robles’s historic balance of town and country. The neighborhoods are located on the edge of the City and are part of a municipal effort to contain sprawl and conserve land dedicated to viticulture. The irregularity of the proposed grid is the result of accommodating the plan to the hilly topography of the site and the numerous existing clusters of oak trees. 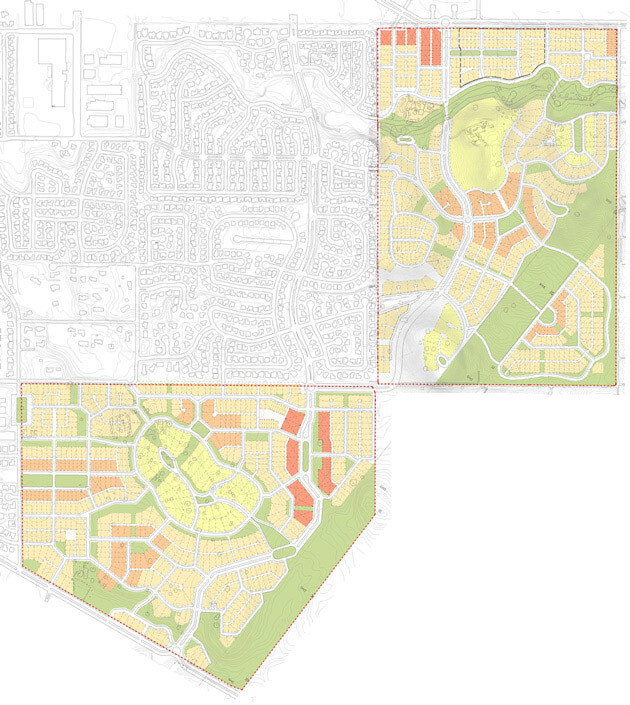 Each neighborhood is carefully connected to the existing suburban fabric adjacent to it. A new school and a neighborhood center are also proposed as civic and commercial anchors for the project, serving the retail, office and educational needs of the residents. Retail and offices will be built. The Plan incor­por­ates a number of sustainability measures and introduces 1,370 new dwellings, enhancing the unique quality of life and the high real estate value of the area.